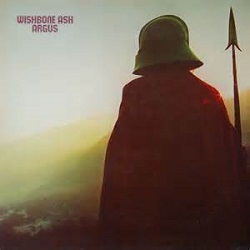 One of the greatest prog rock albums ever, Wishbone Ash’s 1972 epic Argus also remains the English band’s best known and definitive sonic statement. 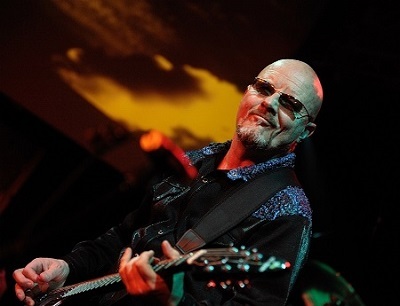 And while other acts in the genre like Yes, Jethro Tull, ELP, and Genesis have wider name recognition, Wishbone Ash have cultivated a cult following by consistently touring and recording in some formation since their founding in 1969. The current lineup, which features original co-vocalist/guitarist Andy Powell, along with Muddy Manninen (guitar), Bob Skeat (bass), and Joe Crabtree (drums), is performing Argus in its entirety on its current tour. Though there is still plenty of stage time to explore both the band’s rich history and its brand new record, Blue Horizon (Solid Rockhouse). Indeed, while fans will undoubtedly cheer at the first notes of Argus tracks like “Sometime World,” “Blowin’ Free,” “The King Will Come,” and “Warrior,” Blue Horizon shows a classic rock band not treading water. Lyrically, some songs address more mature topics. In “Take It Back,” Powell’s son Aynsley pens a tale of a man who had a lot of dreams and plans in his youth, only to find them curtailed by decisions of more staid career and family options. He finds himself reassessing everything once the kids are out of the house and the wife has left him, and to “take back” his life and potential. The record also features Wishbone Ash’s signature twin guitar harmony. And while Thin Lizzy and – later – Iron Maiden would be most identified with the sound, Wishbone Ash was there first. Ah, the bass. For the first decade-plus of the band’s heyday, Powell was used to seeing his co-vocalist, Martin Turner, in the spot, along with Steve Upton on drums and Ted Turner on guitar (no relation to Martin, Ted Turner was replaced in 1974 by Laurie Wisefield). And while Powell would be the only constant in a revolving door lineup that saw members come, go, and sometimes return. A conflict arose when Martin Turner began performing with a group as “Martin Turner’s Wishbone Ash,” causing some confusion among fans and promoters. “It’s a sad fact of life that sometimes bands of our longevity get into these lawsuits, but I needed to protect myself and protect our name. And I’ve never had any legal issue before in 44 years of being in and running this band,” Powell ponders. 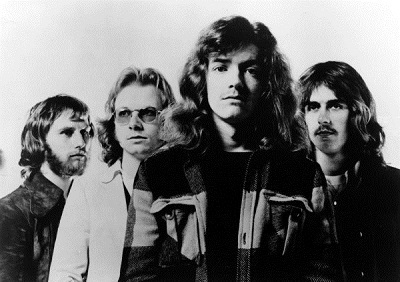 When discussing the band’s visits to Texas, Powell remembers one ugly occurrence at Wishbone Ash’s first show in Austin – which he pegs around 1973. That’s when a hot dog vendor at the venue was shot and killed by an audience member over a dispute involving food. And while Powell ponders that “illicit substances may have been involved,” the band was not told about the tragedy until after the show. Though he does remember seeing the audience “scattering to the sides” at one point. The incident inspired the song “Rock ‘n Roll Widow” about the vendor’s shell-shocked spouse, which they still perform onstage. He also notes that playing large stadiums in Texas with the likes of The Who and Three Dog Night encouraged Wishbone Ash to expand its musical into grander themes and ideas. This entry was posted in Prog Rock, Wishbone Ash and tagged Andy Powell, Martin Turner, Wishbone Ash. Bookmark the permalink.